Shepherd University President Mary J.C. Hendrix and the Shepherd University Foundation hosted the biennial reception for donors and scholars on Sunday, November 5, in the Erma Ora Byrd Hall atrium. 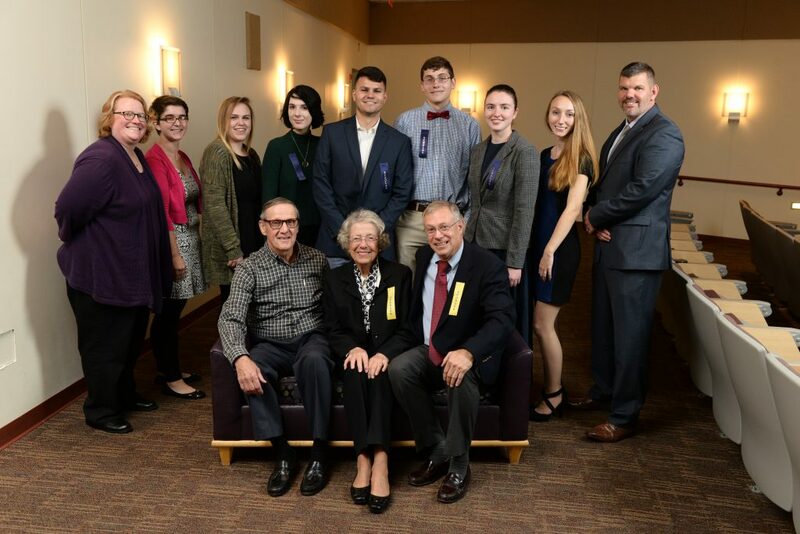 Student scholarship and faculty excellence award recipients, their family and friends, prominent faculty and staff members, representatives from university leadership boards, and Shepherd alumni and friends who have established awards were among the 250 guests at the event. Recipients of the James and Katherine Moler Academic Scholarship pose with Shepherd University Foundation board members. Pictured front row (l. to r) are Al Lueck, Betty Lowe, and David Newlin; back row, Professor Heidi Hanrahan, Claire Tryon, Hailey Sparks, Ashley Fritsch, Christopher Hussion, Kevin Turner, Linnea Meyer, Erica Robinson, and Christopher Colbert. After opening remarks by President Hendrix and Shepherd University Foundation President Christopher Colbert, David Newlin, a Foundation board director emeritus, thanked all those in the room who support the Shepherd University Foundation through their gifts to private scholarship and programming funds. Newlin, who has several family members who received Shepherd degrees, praised Shepherd for being the common thread in their contributions to society. Tamia Hardy, a 2017 business administration graduate from Martinsburg and the current Miss West Virginia, offered her gratitude to Shepherd for the opportunities her many Foundation scholarships afforded her. A leader in and out of the classroom, Hardy served as a member of the Black Student Union, A-team, Fellowship of Christian Athletes, Multicultural Leadership Team, and as a student ambassador in admissions along with receiving several privately funded awards. 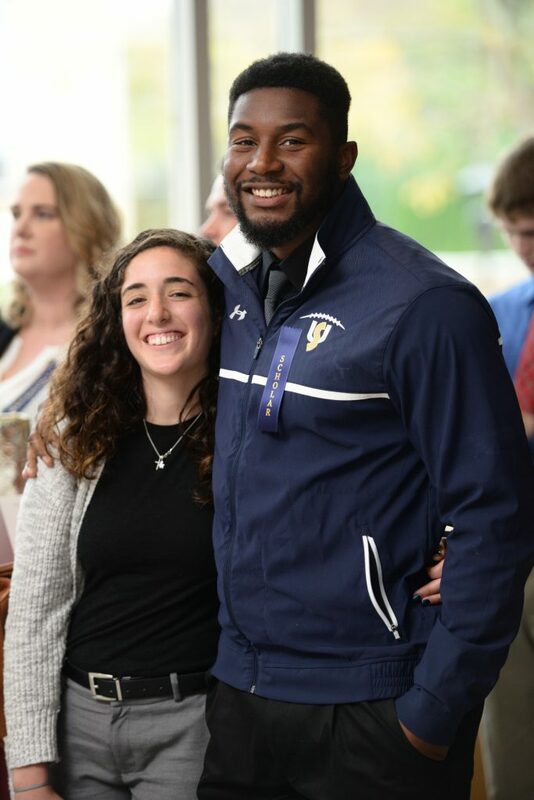 Myles Humphrey, a senior recreation and sport studies major from Clinton, Maryland, offered his own gratitude to the generosity of donors who continually give their financial support to fund private awards such as the Florence and Velma Shaw Memorial Scholarship and the Shepherd Fund Scholarship, both of which he has received. Following the two performances, Shepherd University Foundation Executive Vice President Monica Lingenfelter congratulated the student scholars in attendance for their achievement of successfully competing for privately funded Foundation awards. Lingenfelter reminded them that though they should feel pride in that success, they should also feel a responsibility to one day “pay it forward” to future generations.